Yes, this is a job. Specifically a job I had this year. I was required to dress in a Steampunk fashion outfit for a television show. I moonlight as a background actor once in awhile. 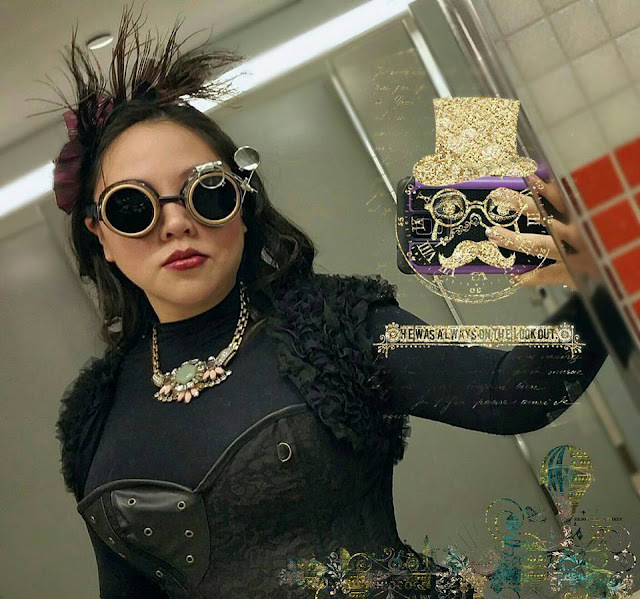 I also like to collect Steampunk and Gothic fashion for my own geekiness. I justified all of it (leaving my accountant shaking his head) when I was required to bring it on set for a scene on a comedy show. While I can't say the name of the show until it airs, the scene was a cool, hipster party of people dressed up in vintage and Steampunk, drinking absinthe cocktails, filmed in a stunning mansion in Park Slope Brooklyn. The show Castle on ABC with Nathan Fillion was one of the first mainstream television programs to feature Steampunk prominently. Major networks have continuously sought out material and opportunities to showcase this movement. Can you blame them? The beauty of the craftmanship, the aesthetic, the romanticism, the design, it is all a visual feast. Stay tuned for when I announce when the show is released!